A traditional fashion, tailored for great match, comfort and worth. 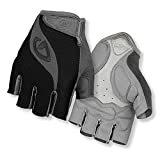 The Tessa is a gel-padded women\'s glove that delivers the comfort and really feel Giro\'s Super Match ergonomic layout and substantial-top quality construction at an reasonably priced cost. It\'s a wonderful option for recreational riders, or riders who favor the come to feel of a a lot more traditionally padded glove.